Note from shop owner We are currently closed. If you have any questions, please send me a conversation and I will do my best to get back to you! Thank you! We are currently closed. If you have any questions, please send me a conversation and I will do my best to get back to you! Thank you! We've recently started selling at Homespun in Farragut, TN. Come and visit if you're in the area! 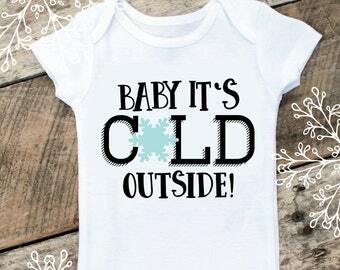 Buy ANY two onesies from our shop and get FREE shipping!! See shop info on the main page for details! Fun and inspirational kitchen towels! I have a new passion! I love to take beautiful, fun, and vintage clip art/illustrations by talented artists and transform them into one-of-a-kind designs in Photoshop. From there I can print them on clothing, linens, mod podge onto wood, or offer them as digital downloads. The variety is endless! How fun is that?! I love seeing the artwork on a baby onesie or kitchen towel. It's an original design (that isn't mass produced) for a unique gift that will bring a smile to the recipient. Etsy is such a great place for me to be inspired and get creative. I am truly amazed at the many handmade items offered here. I could browse for hours!! Thank you for taking time to look into my little shop. If you have any questions, just convo me and I am pretty quick to respond. I am a follower of Christ, wife to a wonderful man, and stay-at-home mom to three sweet girls (one is now in college). Life is never boring at home. Lots to do and thankful for the life God has given me! Welcome to Glee Designs! We offer baby clothing, pillow covers, and digital art for the home, baby's nursery, parties, weddings, holidays, and more! We add items often and will usually post to instagram with updates, so be sure to follow us. Relax in your favorite chair and browse our shop. Stay for as long as you like and have fun! If you are having trouble with your digital file, we will try to help you resolve the issue. We are not responsible for slight variations in colors. Please check to make sure your computer has the ability to print photos or PDF files BEFORE purchasing. For physical items in our shop, please check all measurements, sizes, and descriptions before purchasing. While we do not offer returns, we DO want you to be happy. Please contact us if you have a problem BEFORE leaving feedback on an item(s). Once your item is shipped, it is your responsibility. If an item is damaged in transit, that is out of our control. Please be assured that I pack each item with great care. I accept several forms of payment including Paypal (use your credit card, no account required), Etsy gift cards, or credit cards. Your item must be paid right away unless otherwise indicated. Most of our digital art is offered as an instant download. The printable file will be offered immediately after you have made your payment. NO physical print will be shipped to you. If you would like a print mailed to you, please contact me with size (8x10 or 5x7) and I will send you a listing. The price is usually anywhere between $10 to $15 and will be printed on 8.5 x 11 matte photo paper or quality cardstock and shipped with care. Shipments for baby clothing, linens, and pillow covers are sent out in 3-5 business days once full payment is received. All domestic orders are shipped according to your choice on the drop down menu. International shipments are sent First Class International Mail. Please be aware that you may have additional CUSTOMS FEES that we have no control over and are not included in the price of the item. Domestic and International Customers: Insurance is OPTIONAL and an ADDITIONAL FEE. Please request a quote before making a purchase. My home is smoke-free. Any extra accessories shown in photos are NOT included with the item unless otherwise noted.